Each one of us happily and PROUDLY believe that girls cannot do any good in mathematics or science. We might argue otherwise, but deep down inside we have this scepticism firmly rooted in our psyche that girls are meant NOT to succeed in logic or reasoning. She cannot drive properly. She cannot read maps. She cannot do maths. She cannot understand mechanical or electronic sciences. She cannot be good engineers…. Sadly, this distrust most of the times unconsciously percolate into most of the girls who accept their very first poor performance in mathematics at school level itself as an evidence of affirmation to this ridiculous theory. 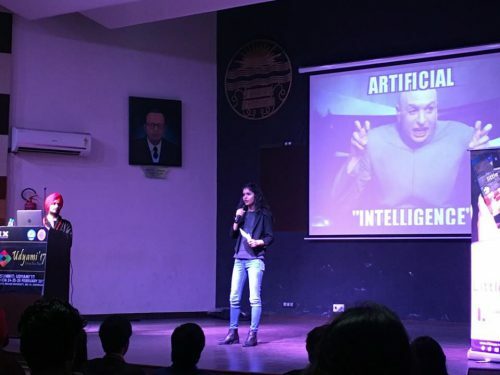 But, there is one very own Chandigarh kudi who is blasting all these stereotypes and striving proudly in the men-dominated arena in not just science, but study creating a futuristic technology. 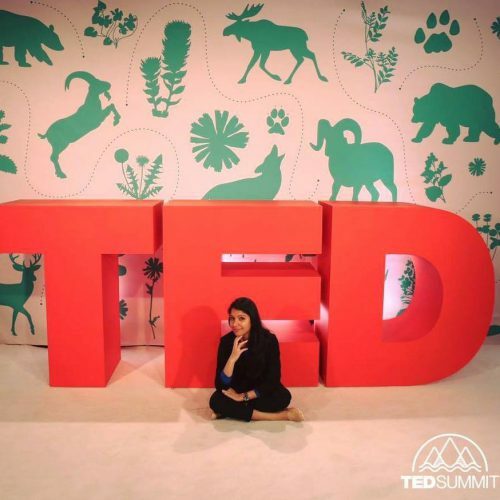 A Data Scientist, Masters in Artificial Intelligence, Global Shaper of Boston hub of World Economic Forum, Mentor of Girls Who Code, Member of Boston Chamber of Commerce, co-founder MindBatteries, a TEDx Wilmington Speaker, co-curator TEDx Chandigarh… and the most incredible thing is she’s just 24! I had the pleasure of meeting her prior to TEDx Chandigarh event and within five minutes of our conversation, I was awe inspired. This girl is confidence, perseverance, ambition, super intelligence, inspiring vision, thoughtfulness, insightfulness and humility – all brilliantly personified in one. 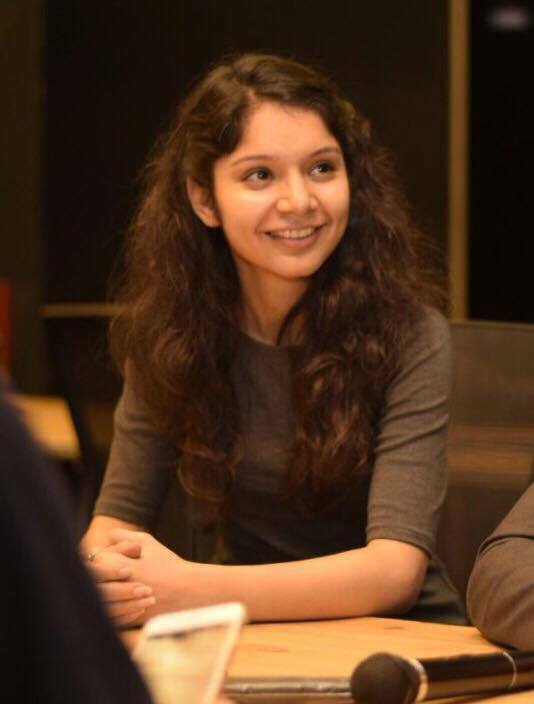 Born and brought up in Chandigarh, Pritika did her schooling from DAV and Sacred Heart and her under-graduation from Panjab University. Then, she moved to US to pursue her dream of being a scientist. Inspired by the stupendous achievements of scientist Stephanie Kohler, who did her PhD in a tender age of 17, very early in life she knew where she wanted herself to be. If her family left no stone unturned to strengthen her wings to let her soar high, the society made sure to do its part in conditioning her to put her in the age-old frame of being a ‘Good Indian Girl’. “My neighbours would tell me stay pretty, don’t step out of home in pyjamas… One old lady even told me why are you growing tall? You won’t find a boy!? !” Fortunately she does not let these “stupid” thoughts consume her energy that she can use for much better and higher things. However, she is concerned about other girls whose wings are clipped due to this ‘nonsense mindset’. When we talking about glass-ceiling, she had a convincing insight that I could not help but agree. “Women who do reach to top positions spend so much energy in preserving her place there, she hardly has time or energy left to mentor other girls.” She is a member of Phi-SB, which is a group successful women who come together to discuss on issues and take immediate action for its resolution. Pritika is all the more concerned about the education system here in India especially, which she says emphasizes on mugging the books and “teaches ways to survive in future, but what we need is to know how to thrive in future.” That’s why, she chose ‘5 ways to fail in 21st century’ as her topic of TEDx Wilmington talk. Meeting her, talking heart to heart for more than an hour, I realised ‘Age doesnot make you great. It’s your dreams and your conviction to live your dreams that make you legendary.’ And this little girl here is here to script ‘her’story in the alpha males’ world with her wisdom, passion and poise. She is here to write legends for generations to remember. ChandigarhX wishes her the best. Keep shining. Keep inspiring, Pritika! Proud to have her as a Face of ChandigarhX International Women’s Day Celebrations ‘Celebrating Womanhood’!